Paperback, 9.5 x 11.25 in. / 160 pgs / 140 color. 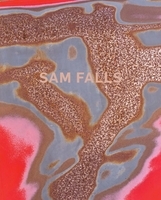 This first retrospective monograph of Los Angeles–based artist Sam Falls (born 1984) spans his work from his beginnings in the 2000s to his most recent exhibitions. Following the traditions of minimalism and land art while pursuing a path toward abstraction, his photographs, paintings, public installations and sculptures have undoubtedly been influenced by nature and the Los Angeles environment in which he lives. Previously a student of physics, linguistics and aesthetics, he has long been interested in how natural phenomena such as light, rain and wind might impact his abstract paintings and sculptures. The idea of a controlled change on materials ranging from steel to cloth creates extraordinary time-based hybridities. 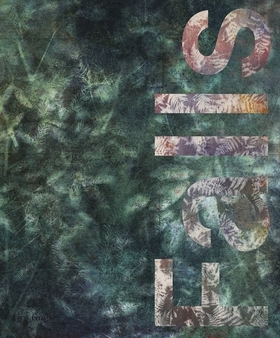 The book brings together new essays by writer and curator Trinie Dalton, French critic Donatien Grau, and Los Angeles Hammer Museum Curator Aram Moshayedi, as well as a special portfolio conceived by the artist. FORMAT: Pbk, 9.5 x 11.25 in. / 160 pgs / 140 color.